Attorney general candidate visits the U.P. 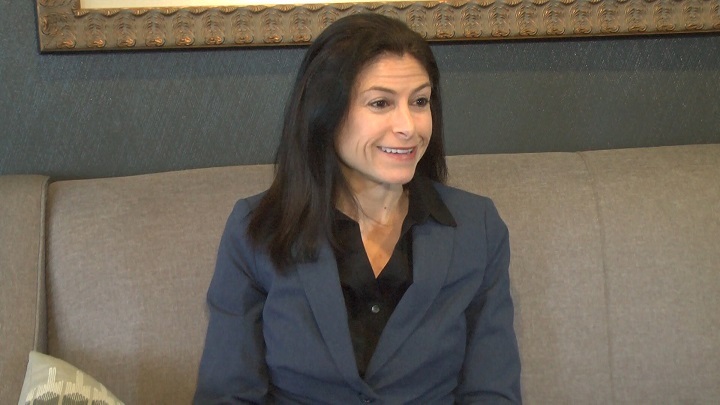 MARQUETTE — Democratic Michigan Attorney General candidate Dana Nessel has been visiting the Upper Peninsula for the past five days, meeting with many voters in 14 counties. Nessel has been practicing law in the state of Michigan for decades and has argued cases against the Michigan Attorney General’s Office. She said she has noticed that the office doesn’t work for the people anymore. The office for attorney general is first selected by delegates to political party conventions and then those winners face statewide voters in the general election in November. Nessel’s team said she is not putting money into traditional methods of campaigning, but is instead spending money on transportation and accommodations for interested voters to the Michigan Democratic Party Convention in Detroit. “If you want to go, we’re going to send a bus from Marquette, we’ll get you down to Detroit, we’ll get you a place to stay and we’ll get you home safely. That way, you can be a part of the process and you can have your voice heard in this very important event,” said Nessel. To learn more about going to the MDP Convention, click HERE. The convention is April 15th at 7:30 a.m. In addition to the U.P., Nessel has visited almost all of the other counties in the state. She said she expected the voters’ issues to be different for each region, but found the opposite to be true. For more information on Nessel’s stance on the issues, visit her website HERE.